Whatever one may think it is, the real importance of the upcoming local authorities elections is that of a nationwide referendum on the model that Prime Minister Wickremesinghe is implementing and seeking to entrench. What is that model? Generically it is that of neo-liberal globalism, but what is it specifically and concretely? What we need to do is to envisage a model of Sri Lanka as it would be if the UNP won. TV news ran a longish video clip on December 30 evening which showed TNA’s M.A. Sumanthiran explaining to a Jaffna audience that the Interim Report on the Constitution (interchangeably referred to as the draft Constitution) went beyond federalism” (that point was accompanied by an expressive, expansive gesture of Sumanthiran’s arm). So ultra-federalism or de facto confederalism is what we shall have actually voted for, if the UNP wins! Going by the statements of the UNP-driven government’s leaders and the leading economic policy personalities, the ‘model’ includes the oil tank farm in Trincomalee to India, the Trincomalee port to India, the Mannar-Trinco and Mannar-Kilinochchi highways to India, the Mattala airport in the Deep South to India, power over land to the Provincial Councils, large tracts of land sold to foreign corporations, a wide ranging opening up of the economy to India (ETCA), peasant agriculture reduced to 13% of the national economy, Indian manufacturing relocated to Sri Lanka and penetrating the Lankan market, bottom trawling for fish in our waters. The implementation of the UNP leadership’s ‘neoliberal Indianist’ model will mean the destruction of Sri Lanka’s industrial-manufacturing capitalist class and base itself. It will mean the de-industrialization of Sri Lanka. It will mean the de-peasantization of Sri Lanka, a new ‘enclosure movement’ such as that caused by the colonial Waste Lands Ordinance, and resulting in a flood of pauperised and dispossessed peasants who will girdle the towns and cities in slums. It will also mean the destruction of the Sri Lankan fisheries industry and the fishing communities of all ethnicities. The model will mean a re-colonization without the construction that colonialism effected, but with the loss of sovereignty. It is a Great Counter-Reformation, wiping out the economic, developmental and social achievements of a century if not more of Sri Lankan /Ceylonese upward mobility. The complete opening up and subjugation of all sectors of the economy to foreign capital and to market forces will deprive the Sinhalese of their lands and drive the majority of the country into poverty, ensuring that the Sinhala lower-middle and working classes can never aspire to upward mobility for their children, since education too will be open to predatory market forces and foreign penetration. Why do I say Sinhalese? In Sri Lanka, the UNP’s elitist neo-liberal globalization will hit the Sinhala majority hardest and marginalize it the most, just as colonial globalization did. The Sinhalese do not have rich ethnic/ethno-religious kin across the waters who will buy up the land in their provinces, nor do they have the option of relatively easy immigration to the West. If fully implemented, the UNP’s neo-liberal, neocolonial Indianization model will result in the social genocide of the Sinhala lower-middle, and entrepreneurial classes, as well as the Southern two thirds of the island (barring Colombo) throwing them back to the subaltern status of the colonial centuries. If the UNP wins the election and implements the promises that the PM made to India in April 2017, this island will not only become an economic neo-colony of India, it will once again be an occupied territory with no-go areas for locals. Already, an official team was disallowed into an area of the Trincomalee tank-farm by LIOC personnel. What will the situation be when most of the oil tank farm, parts of the Trincomalee harbour and the highways are in Indian hands or have an entrenched Indian presence? Furthermore, won’t Mattala become an Indian enclave in the Ruhuna, and a no-go area for the Southerners? The combination of (a) An economic Indianism (b) strategic Indo-Americanism and (c) North East ultra-federalism/confederalism will cumulatively mean a tectonic shift in resources and power away from the majority to the economic and social minorities, and a geopolitical shift of the island’s centre of gravity, from the Southern two thirds to the North-eastern one third, thereby reversing the domestic geopolitical effects of democracy and universal franchise. It cannot but generate majoritarianism and anti-Indianism. I have always stood for the most cordial and constructive relations with our neighbour, which is one reason why I have been a staunch supporter of the 13th amendment. However, one cannot have good relations with a neighbour who is trying to grab our ancestral property, which is of modest in size to start with, and pauperize your children—and that is the difference between the India of the Congress and that of the BJP. Neoliberal globalization develops unevenly and affects various sectors unequally. Neoliberal globalization benefits, or least damages, the pre-existing globally located, networked and integrated i.e. established globalized elite communities and elite Diaspora. This is more so because the West has large, electorally influential diaspora communities—some of which support separatist projects–and tend to be biased towards them. Conversely, the greater the orientation towards the Chinese model of (state-led) alternative modernity and multipolar globalization (China, Russia, BRICS, emergent/pivotal powers such as Turkey, Indonesia etc) the more level the playing field it is for the majority of citizens of the world and this island. Prof Samuel Huntington identified one of his famous civilizational ‘fault-lines’ as running through Sri Lanka: that between the Indic/Hindu and Buddhist civilizational systems. He named Sri Lanka’s war as a fault-line war”. If he was right, Mahinda Rajapaksa won the fault-line war for one side but Sri Lanka is about to lose the fault line war under PM Wickremesinghe by conceding a walkover and effecting a handover. In 2001, the PM proposed a land and underwater bridge which would link northern Sri Lanka with Tamil Nadu. He recycled the idea in 2015 and it was picked up by the BJP government’s Minister of Roadways, Nitin Gadkari. This means the recreation of the geographic link in the Ramayana. It would have also linked this island with Tamil Nadu from which emanated numerous invasions and occupations which finally ruined the amazing civilizations of the Anuradhapura-Polonnaruwa period and drove our capitals ever southwards. Now with the planned give away of Mattala airport to India, which means direct power-projection and airlift capacity into our deep South, even the Ruhunu rearguard, the base area/liberated zone from which, historically, there always arose national resistance, will no longer be safe. If Chief Minister Wigneswaran, a Hindu hard-liner, can spout the racist nonsense he does about the Tamils being the original inhabitants of this island (which falls flat when one wonders why they did not make it to the rivers and the arable land, occupy and settle in it, as pioneers have done throughout human history), one can well imagine how he and the North will behave when ultra-federalism or confederalism is implemented, there is also a much larger Indian footprint here and we are tied to BJP India, as the PM committed himself to in writing in April-May 2017 in Delhi. As an island, we have almost no defence in depth. With our backs permanently to the sea, the expansion of Northern and Eastern political space and Indian power newly based in the Ruhuna, we will be in a tighter strategic squeeze than that which made the sleeping Prince Gemunu feel acute claustrophobia. 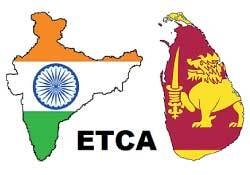 The implementation of neo-liberal Indianism will be the ultimate existential betrayal of the identity of Sri Lanka. Those who vote for a UNP led by a confederalizing and Indianizing PM, or with a neo-liberal, confederal, Indianizing project, will be guilty of this great civilizational crime.